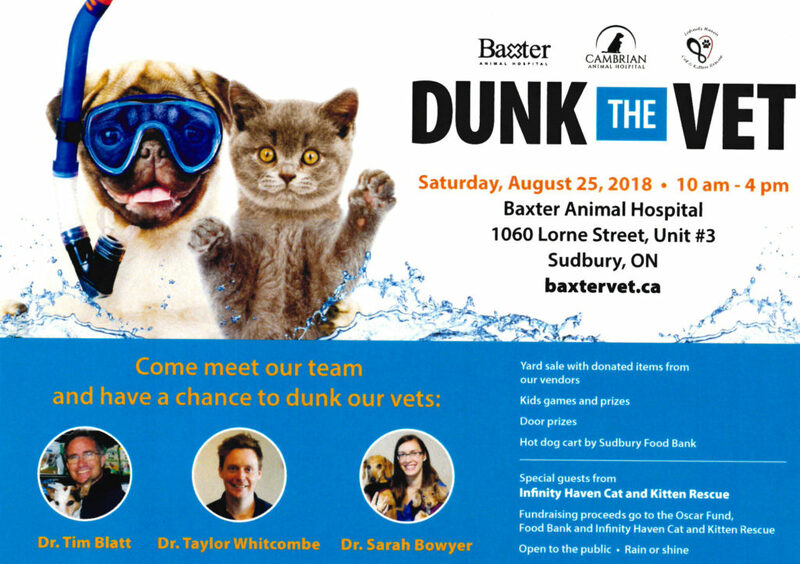 On Saturday, August 25th from 10am – 4pm the Baxter Animal Hostpital (1060 Lorne Street, Unit #3) will be hosting DUNK THE VET. There will be a yard sale, kids games and prizes, and door prizes. Also, our Hot Dog Cart will be open special this Saturday on our lot across the street. Come out and have some fun!